Ireland will now have to engage with the EC on issues relating to the regulation of VHI. THE IRISH GOVERNMENT has been told by the European Commission to address a court ruling that judged the State had failed to apply EU law relating to the regulation of the insurer. The Department of Health issued a statement earlier today, confirming it had received a formal notice from the EC under article 260 of the TFEU. The European Court of Justice’s judgement last September means that VHI can no longer benefit from an exemption from a requirement to be authorised by the Central Bank of Ireland. The Government has since agreed to engage with the commission on the matter and work with both the VHI and Central Bank on an application for regulation. As part of this process, a decision will need to be taken on the question of capitalisation. Under the ruling, the VHI will have to adhere to minimum capital requirements as other non-life insurers do. The State also agreed to examine the legal and legislative requirements to allow for the incorporation of the VHI as a limited company. The Department of Health said it was expecting today’s formal notice and it has been in regular contact with the Commission in relation to the VHI case. It said it will continue to progress with a range of issues relating to the legal status of VHI. The Department has two months to respond to the formal notice. At the time of the judgement in September, the VHI also said it was expecting the result and was preparing for the decision. It says that regulation by the Central Bank is in the best interest of its customers. In 1973, the EU First Non-Life Directive was implemented but Ireland negotiated a derogation for the Voluntary Health Insurance scheme. That meant the legislation could be applied differently – or not at all – to the group. Effectively, the VHI was not required to obtain an authorisation from the Central Bank as an insurer and, therefore, did not have to hold the same level of solvency capital as its counterparts. However, as the company evolved, the derogation should have ceased, according to European Union lawmakers. The case was brought against Ireland by the EU Commission as it deemed the VHI was carrying out its business activities contrary to EU legislation. The issue was first raised by European lawmakers in January 2007 and action was taken within two years after several advances were made to ask Ireland to rectify the matter. Today, the ECJ determined that Ireland has not fulfilled its obligations under European law because it failed to apply insurance legislation to all insurance undertakings on a non-discriminatory basis. The court found that Ireland was in breach of EU obligations because it continued to exempt VHI from regulation by the Central Bank despite the fact that it had obtained the power to provide “health-related” services, act as an agent for an insurer and carry out “activities of an advisory or consultative nature”. Once these activities commenced, the derogation should have ceased, said the court. What will it mean for VHI Healthcare? As the derogation will no longer apply to VHI Healthcare, it will need to be authorised by the Central Bank. For this to happen, the company will need to have sufficient levels of regulatory capital in reserve. It also must show the regulator that it has a robust three-year business plan in place to ensure it can maintain those levels of capital. At present, the VHI is not in a position to satisfy these requirements. The Government says changes to the Irish health insurance market in 2008 saw VHI lose out on risk equalisation payments, leaving it unable to build up its solvency reserves. And what about VHI customers? 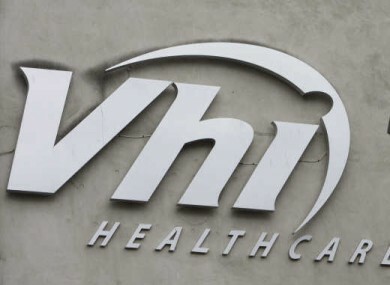 The VHI will continue to trade as normal and will continue to offer health insurance and pay claims. However, the Government has decisions to make about how to address its regulatory position. What will it mean for the health insurance industry in Ireland? Again, the Government is still examining the ECJ’s ruling and taking legal advice on the matter. Minister James Reilly previously said the decision by the court will affect the private health insurance market as a whole and a co-ordinated response is necessary. An effective system of risk equalisation needs to be worked out for a more evenly structured market. At the moment, the Irish health insurance market is community rated. That means all customers pay the same price for the same health insurance product, irrespective of health status. This benefits older and sicker people, as well as reducing the incentive for insurers to “cherry-pick” lower-risk customers. However, the VHI currently pays out about 80 per cent of the total claims in the Irish market and prices are being driven up constantly. Email “European Commission sends formal notice to Ireland over VHI”. Feedback on “European Commission sends formal notice to Ireland over VHI”.